Evans Electric is your full service electrical contractor! 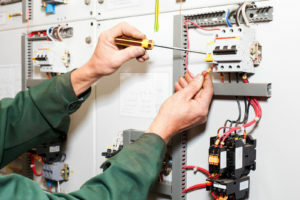 We are dedicated to providing the best electrical service in Southeast Idaho. Whether your job is large or small, we provide on-time rapid response. 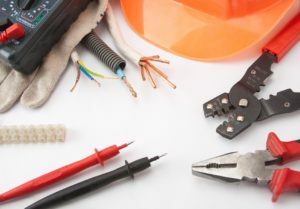 From small repairs to large projects and remodels, we are your electrical resource. From ceiling fan installations, generator installation and hook up, full rewires and upgrades to electrical services for new builds of custom homes, commercial new builds, office refurbishments and build-outs, we are your electrician. Call today and we will be glad to help you! Evans Electric is a full-service electrical contractor known for safety, reliability and ingenuity in electrical installations. Throughout Southeast Idaho, we have developed a reputation for high quality, innovation and absolute customer satisfaction. Evans Electric provides a wide-range of electrical services including troubleshooting, electrical panel installs, service upgrades, complete rewiring, electrical safety inspections, new construction, remodeling projects, electric vehicle car charging stations and smart home integration. When you choose to work with Evans Electric, you will not be disappointed.